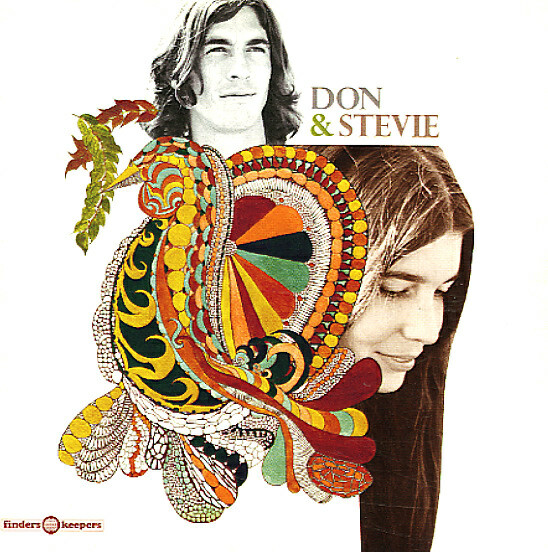 Darkly beautiful sounds from the duo of Don & Stevie Gere – a husband and wife who work here with a style that's folksy, but a bit spooky too – possibly due to the fact that the music within was recorded in their California home, and never issued for years! There's a deeply personal feel to the songs here – almost like we're peeking in on the intimacy of the couple, but as they try to put together a message to reach outside of their home too – themes of their own love mixed with greater societal issues – later taken up as some of the songs were reworked by other artists like David Gates, Curt Boettcher, and Waddy Wachtel. Yet there's an innocence to these original recordings that's really mindblowing – rescued from oblivion on aging acetates, and represented here on cuts that include "Sweet Sugar", "Keep An Eye On You", "Another Blue Day", "What Do You Think Of Me", "Kindly", and "Tell Me Now". © 1996-2019, Dusty Groove, Inc.